Sheppard Software. At our site, we have hundreds of free, online, educational games for kids. But anyone interested in online learning can use our site - we have so many subjects - (geography, math, animals, science) and many levels, games and activities for learners of any age. XtraMath.org. Our goal is to develop effective, efficient, adaptive and intrinsically rewarding supplemental math activities and make them available for free. IXL. Junior Kindergarten to Grade 10. Learn your math. Practice makes perfect, and IXL makes math practice fun! IXL allows teachers and parents to monitor the progress of their students and motivate them through interactive games and practice questions. Widely recognized as the Web's most comprehensive math site, IXL offers a dynamic and enjoyable environment for children to practice math. Students who use IXL are succeeding like never before. TimesTales. Learn your times tables quickly. NOTE: don't know if this site is free or paid. Arcademic Skill Builders. Featuring free multiplayer learning games, math games, language arts games, and much more for kids in K-8. FunBrain. Funbrain, created for kids ages preschool through grade 8, offers more than 100 fun, interactive games that develop skills in math, reading, and literacy. Plus, kids can read a variety of popular books and comics on the site. Multiplication.com. Our Goal...to provide a fun system to help students of all ages learn the multiplication facts quickly and easily. Adapted Mind. 30 day free trial, otherwise a membership site. math and reading site. Rocket Math. Rocket Math is a ten-minutes-a-day, paper and pencil, worksheet-based, supplemental, math facts practice curriculum. It is a uniquely structured curriculum for the sequential practice and mastery of math facts. From what I can tell this is predominately a pay site. Khan Academy. The Khan Academy is an organization on a mission. We're a not-for-profit with the goal of changing education for the better by providing a free world-class education for anyone anywhere. All of the site's resources are available to anyone. It doesn't matter if you are a student, teacher, home-schooler, principal, adult returning to the classroom after 20 years, or a friendly alien just trying to get a leg up in earthly biology. The Khan Academy's materials and resources are available to you completely free of charge. Our library of videos covers K-12 math, science topics such as biology, chemistry, and physics, and even reaches into the humanities with playlists on finance and history. Each video is a digestible chunk, approximately 10 minutes long, and especially purposed for viewing on the computer. Head of the Class. Materials for K-5. Math, Languar and more. 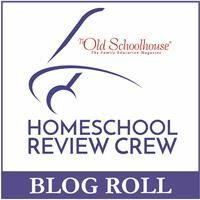 A couple of Posts from the Homeschool Den. Part 1 and part 2. Focus on on K-2 Math.